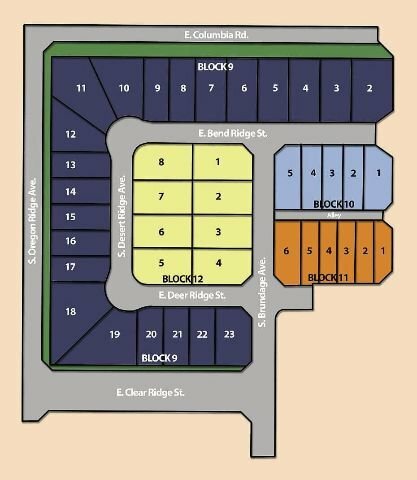 Sunny Ridge subdivision is a new home community in Southeast Boise, Idaho. Sunny Ridge and Painted Ridge are two of the last active new home developments in Southeast Boise. They are two sister communities nearly adjacent to each other. Both are close to Micron and just minutes from downtown Boise. Sunny Ridge homes feature breathtaking views of the mountains with wildlife right outside your door. The community features a pool exclusively for community homeowners. “Close to everything yet a world away from the city noise”. Homesites: Building lots range in size from 0.08 acres (3,485 sq ft) to an 0.32 acres (13,939 sq ft). From Interstate 84, take exit 57, head east Gowen Rd. Turn right (south) onto Technology Way. Technology Way turns into E Columbia Rd. Turn right (south) at Snow Bird Ave. If you’re interested in touring one of the remaining Sunny Ridge homes for sale, or if you have any questions, please don’t hesitate to contact us at (208) 391-4466.